The call for universal design and accessibility standards in edtech design. This year’s Inspirefest 2018 brought to light some of the issues facing accessibility. Gerry Ellis, an accessibility and usability consultant, explained that accessibility needs to be more of a priority in technology development. Ellis himself is blind and explained that people with disabilities are often restricted in how they use technology. He believes this is caused by the overall lack of consideration of usability in design. For him, the main aim is to allow people to experience technology in the same way regardless of their level of ability. A prominent issue he identifies is the decline of trusted intermediaries that help people living with disabilities. By the replacement of paper-based options towards online only, it can create difficulty for people with disabilities. If the devices they are working from are not accessible, they don’t have another option. Although the new developments in technology are thought to be bringing the world into an era of convenience, Ellis can see a gap in their usability for users with disabilities. Small innovations in technology can make a massive difference for people living with disabilities. Because of this Ellis is calling for a universal design and standards of accessibility for the design process to adhere to. Accessibility should be at the heart of the design process. To read more about our thoughts on designing for accessibility click here. In Arkansas and New York districts are taking steps to implement a new system for school safety that would combine surveillance cameras and machine learning algorithms. The system would be used to identify people, objects, and behaviors that could be safety concerns. 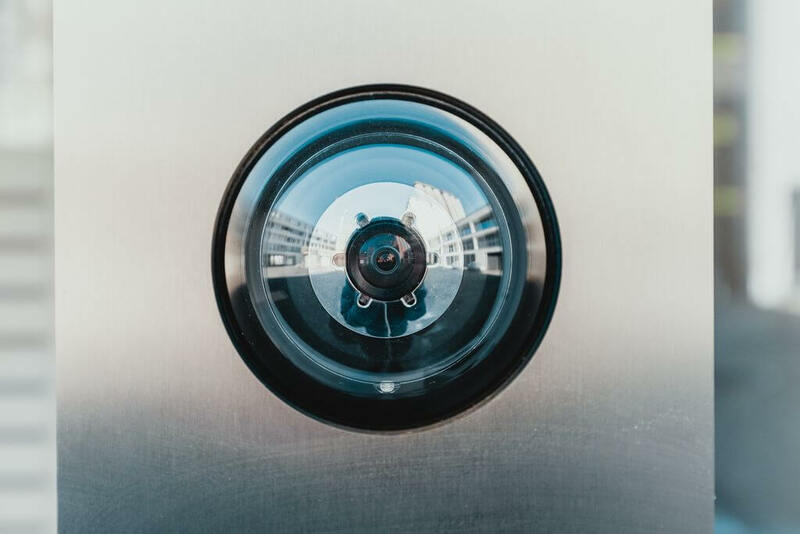 On Tuesday, RealNetworks released a new facial recognition software called SAFR that will be able to be used with existing security camera installations. However, many school security experts and technology leaders are asking for more consideration of the possible downsides of such a system. For a machine learning safety system to be effective each aspect of school safety will need to be considered. Safety issues such as denying campus access to people who have been banned and monitoring students would require different approaches. There are also questions of effectiveness and accuracy surrounding the ability the system would need to be able to operate in different situations. Unfortunately, school shootings have become a major issue in school safety. Could this type of safety system actually be used to prevent one? The answer: It depends. School shootings most often involve students that are already inside the school so it is unclear how it could help in these circumstances. There are other considerations surrounding how the data will be collected, stored, and protected. New York Civil Liberties Union argue that students and families shouldn’t have to worry that their every move is being watched or that their pictures could end up in databases associated with government agencies and law enforcement. Although this technology may have the best intentions, it is necessary to work out the challenges and problems that could arise from it before implementation. Schools and Colleges Try Virtual Reality Science Labs. But Can VR Replace a Cadaver? Case Western Reserve University new health education campus will no longer be using cadavers. They will also be replacing the anatomy labs with a new type of hands-on experience that includes virtual reality simulations. Case Western is not the only school experimenting with replacing traditional lab classes with VR labs. New product offering are being brought out by a range of companies to try and provide more applications of their digital products for schools. However, there are some aspects of these VR simulations that need to be considered. In a health context, people who have only done VR simulations may have difficulty when it comes to real patients. It is possible that trials could be used to see how well the simulations work compared to traditional methods. Arizona State University is another example of universities experimenting with VR. This fall, ASU will be offering an online biology degree that will include virtual labs. The university acknowledges the concerns the science community has with the use of VR labs versus ones in real-life. However, ASU argue that few students that graduate with a biology degree, for example, actually end up doing lab work. In addition, the school is encouraging students that want to get a more real-life lab experience to apply to internships or go to the campus for particular labs. It is likely that best practice for VR labs is for them to be used alongside practical ones. Some students will need real-life labs to develop motor skills. Because of this, it is not known if VR labs could ever replace real labs but they can certainly give students more confidence and strengthen their ability to learn.